I haven't seen any others, however, one person who filled out an application for the WOA (but never joined if I recall correctly) said he had a gaff-rig. My boat's original owner was anchored out on the ICW one night when another gaff-rigged W32 dropped anchor nearby. They had a lot to talk about, I'm sure! So, I know that there is at least one, possibly two. 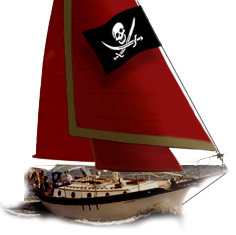 There is a current member in Europe who has been planning to rig the boat he is refurbishing as a gaff-rig, if he doesn't change his mind and buy Sannyasin! Once you go gaff... you never go back.